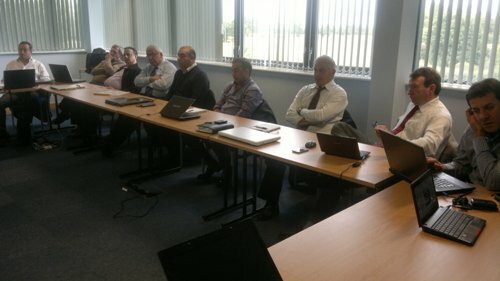 INDEVCO Flexible Packaging Division sales and marketing teams meet to discuss a framework for business to business (B2B) marketing integration. 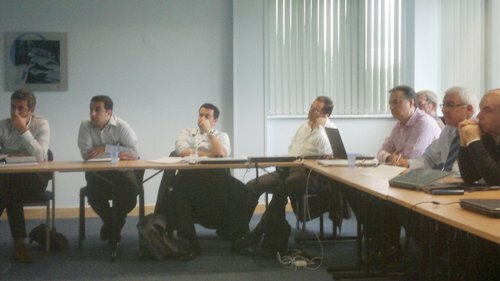 As INDEVCO Group’s gateway to the European Market, Sanita UK offices hosted INDEVCO Flexible Packaging Division sales and marketing alignment meeting on 28 September 2012 in Telford, United Kingdom. 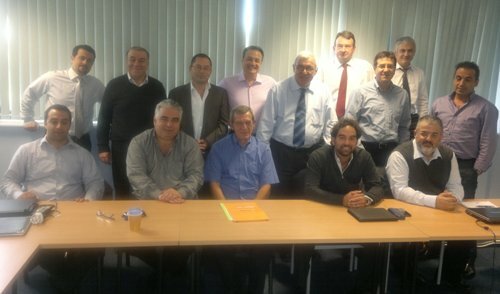 INDEVCO Flexible Packaging Division’s European sales team met with top executives Mounir Frem, Executive Vice President, and Maher Dabbous, Market Development Director, to discuss the four phases of B2B marketing integration. Dabbous with Frem presented the framework for B2B marketing integration, discussing how INDEVCO Flexible Packaging went through the initial 3 phases, including beginning export, setting up regional units, and introducing marketing concepts to reach the final stage of sales and marketing alignment. The presentation covered historical evolution, objectives, obstacles, tools and marketing technologies and marketing intelligence reports, as well as projections and plans for achieving effective synergy. INDEVCO Flexible Packaging plants manufacture polyethylene (PE) films, as well as plastic and paper bags and rolls for the agricultural and horticultural, beverage, building and construction, catering, chemical and petrochemical, food, household, hygiene and tissue disposables, industrial, pharmaceutical, soap and detergent sectors. 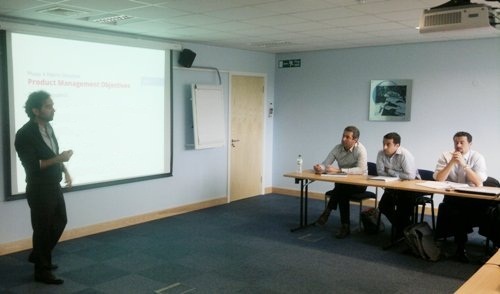 Members of INDEVCO Flexible Packaging Division include Masterpak in Zouk Mosbeh, Lebanon; Napco Modern -Sack Division, Napco Modern - Technical Division, National Paper Products Company, and COMPACT in Dammam, Saudi Arabia; as well as United Plastic Products Company (UPPC), Napco Packaging Systems Co. Ltd. (Uniplast), and Multipak in Jeddah, Saudi Arabia. Sanita UK serves as a hub into the European market for INDEVCO plastic, paper and corrugated packaging manufacturing companies located in Egypt, Greece, Lebanon, and Saudi Arabia.